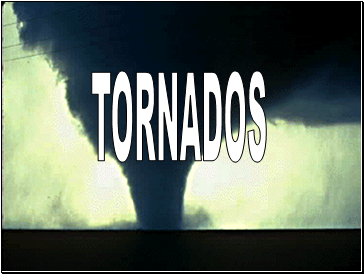 Do Tornados Really Sound Like Freight Trains?? 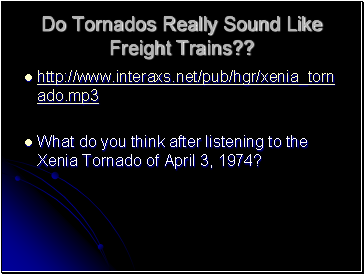 What do you think after listening to the Xenia Tornado of April 3, 1974? 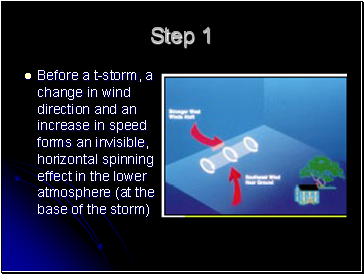 Winds can exceed 300 mph!!! 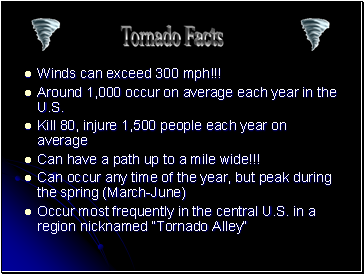 Around 1,000 occur on average each year in the U.S.
Can have a path up to a mile wide!!! 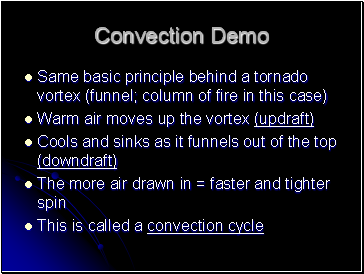 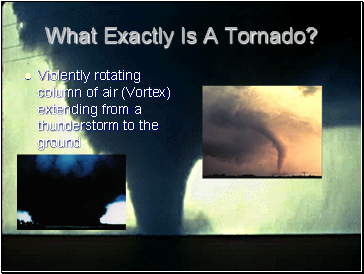 What Exactly Is A Tornado? 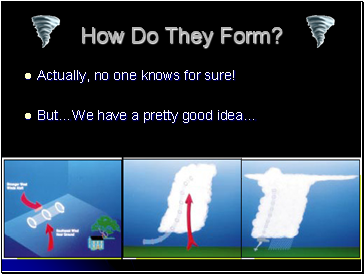 Actually, no one knows for sure! 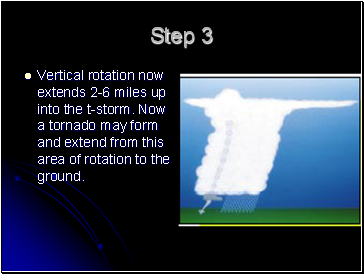 Vertical rotation now extends 2-6 miles up into the t-storm. 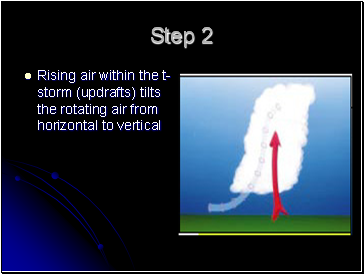 Now a tornado may form and extend from this area of rotation to the ground. 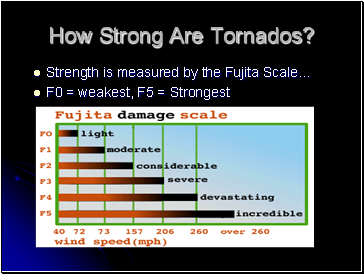 Strength is measured by the Fujita Scale . 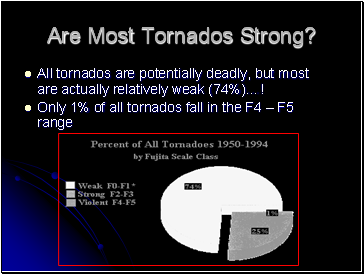 All tornados are potentially deadly, but most are actually relatively weak (74%)…! 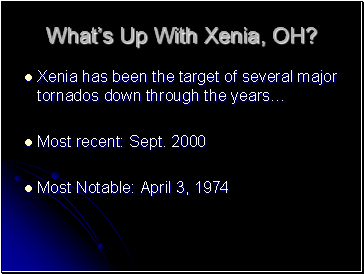 What’s Up With Xenia, OH?